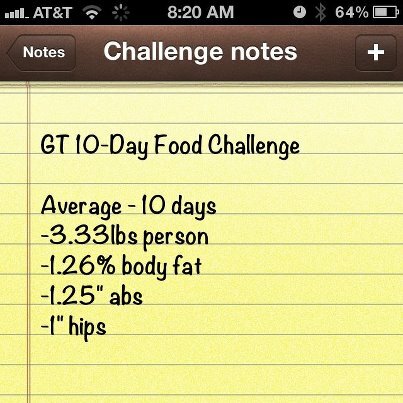 Posted on June 2, 2012, in GT Food Challenge and tagged Adipose tissue, Articles, food challenge., gt food challenge, health, Shopping, Supplements, weight loss. Bookmark the permalink. Leave a comment.